K-Congrats on your new release, Amy. Thanks so much for joining us for an interview today. You are finishing your second novel in the 'The TaciAndrews Deadly Series'. What inspired this series? A-The whole idea of a conspiracy theory is what inspires most of the series lol I enjoy a good mystery mixed with humor so writing the Deadly Series has seemed to come natural to me. 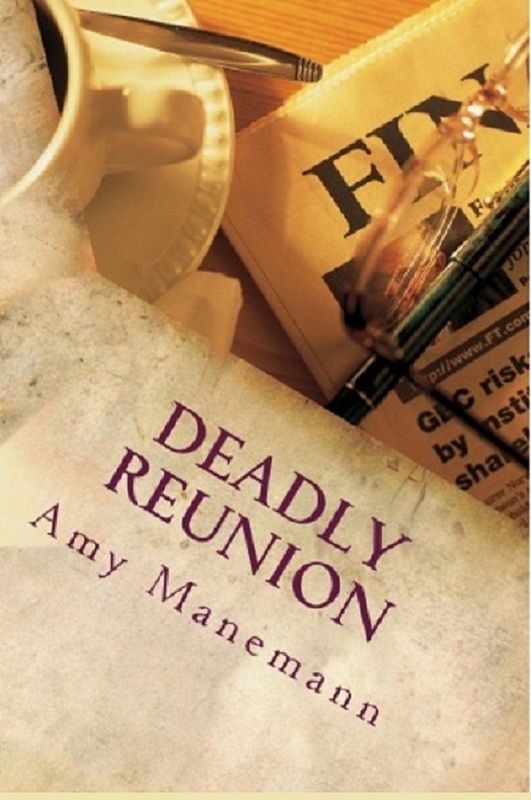 The first book (Deadly Reunion) was inspired by the possibility of attending my own high school reunion and the trepidation I had with that idea. While the reunion never came about the story I gained from the experience was well worth it. 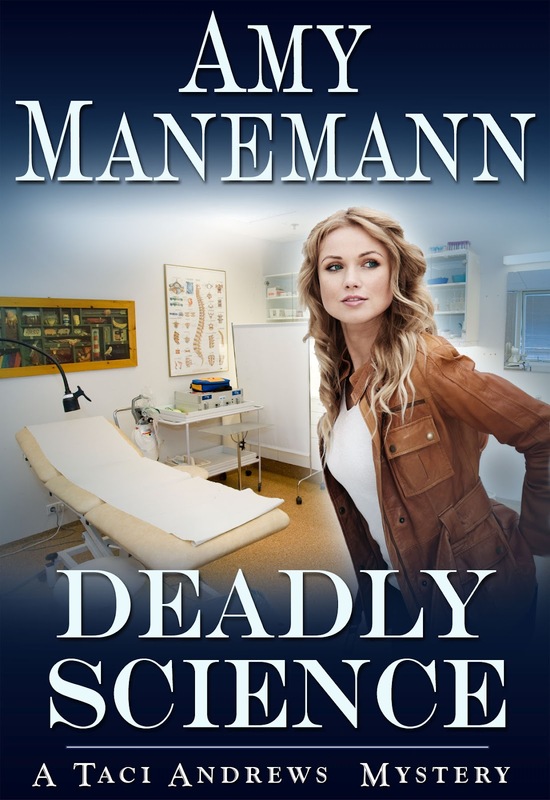 The newly released Deadly Science (book two) was in a round about way inspired by my surroundings as I work part time for a medical office. While the story itself is fictitious it leaves a reader wondering “What if?”. If your series is made into a movie, who would you like to see cast in the roles? A-Oh wow, if my series was made into a movie I would be ecstatic!! Hmm, I honestly have no clue about a cast of characters as this isn’t something I’ve ever considered. I just enjoy writing and telling a story. What comes of it…..well, we’ll just have to see. Please share with us, what is your writing ritual? Where do you like to write? How often? Do you schedule time or wait for inspiration? A-I would LOVE to say I have this fantastic writing ritual that would leave all other authors jealous but I’m pretty much like everyone else. I write when I can, where I can. As mentioned above I work part time and have two young children at home so between work and running to sports practices/games it makes writing a difficulty. I tend to carry a small notebook in my purse to jot down ideas as inspiration hits, then go back later and type away on my laptop. So not a perfect science, but it seems to be working out OK so far! Balance seems to be an issue that most authors grapple with. I know it’s hard for me. 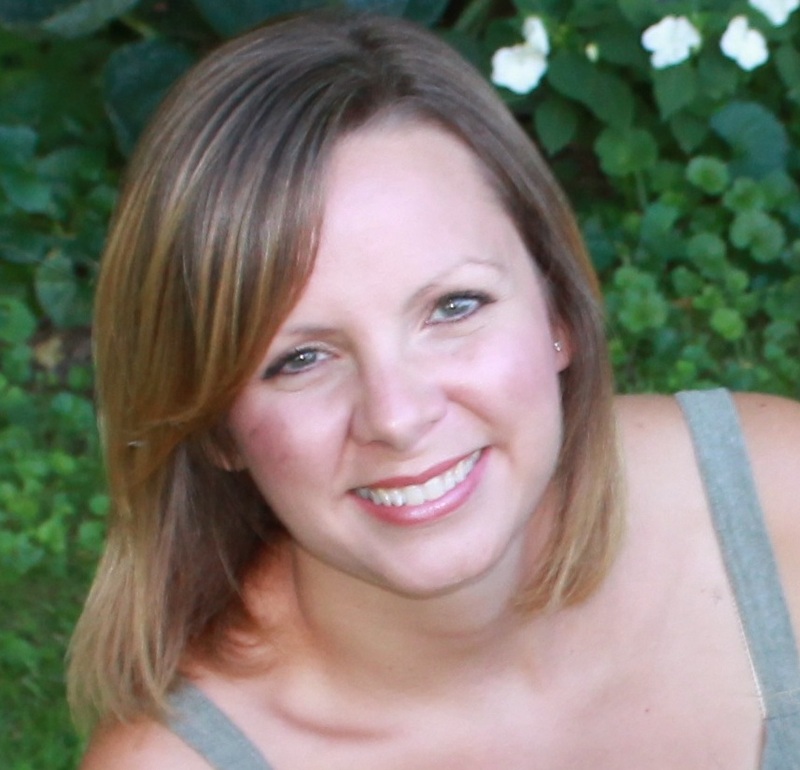 How do you balance your personal life with your writing and the promotional aspect of writing? A-I don’t think that perfect recipe for balancing your personal life with writing and promoting exists. I just do things when I can and always remember that my family comes first. Without their constant love and support I wouldn’t be where I am in the first place. A- Anil sat in the silence of the dark room, staring blindly at the glass of amber liquid in his hand. Lifting it to his lips he tipped the glass up, swallowing the contents in one gulp. Satisfied by the burning sensation making its way to the pit of his stomach, he drew back his arm, hurling the glass to the far side of the room. It shattered with satisfying ease, drawing a bitter smile from Anil, until a glass shard bounced back and pierced his bare ankle. “Arrrrgggghhh!” he cried out, reaching down to pull the shard out and toss it aside. It figured he would get cut by the very thing he meant to destroy. Not that it mattered much. The pain was just another tool for him to use in the blackness that filled his soul. The more pain he inflicted, the better he seemed to feel. Life was about pain and it called to him like an aphrodisiac he was unable to deny. K-Oh that was sinister! Loved it!! 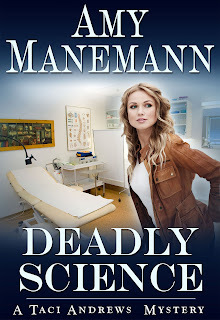 A-I am currently promoting my new release, Deadly Science, and have several blog tours coming up. You’ll be able to find the information on my website for all the stops. K-Amy, thank you so much for joining us. It was wonderful chatting with you. Where can people find you and your work on the web? Kathleen thank you so much for having me, this was a lot of fun! !